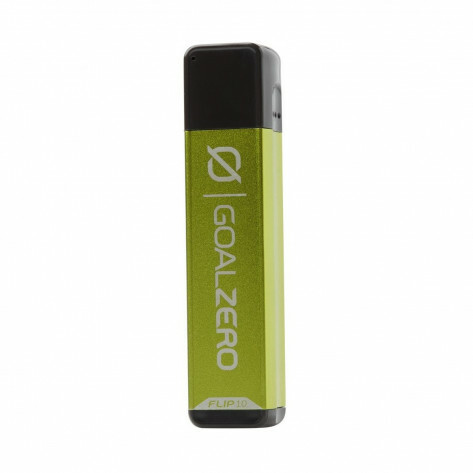 The Goal Zero Flip 10 Recharger features a 2600mAh battery capacity that's designed to hold a single charge for compatible smartphones. The Goal Zero Flip 10 Charger features a 2600mAh battery capacity that's designed to hold a single charge for compatible smartphones. 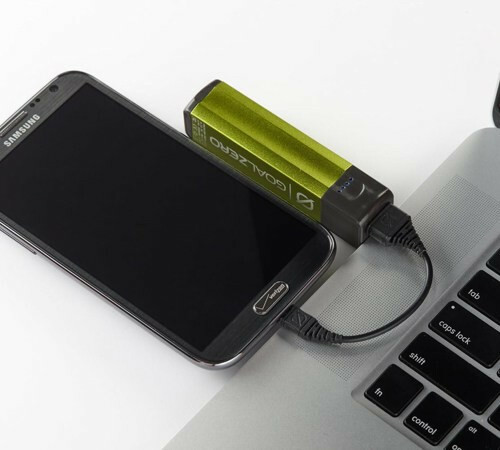 The Flip 10 can be charged from any compatible USB port using the included micro-USB cable or through solar energy using any compatible solar panel (sold separately). Pass-through charging technology allows you to charge both the Flip 10 and the device it's powering at the same time.